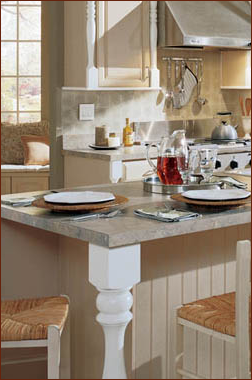 As important as you choice of cabinets is the countertops you select to compliment the cabinets are just as important. Whether they are made from natural stone such as granite or quartz, or a man made composite of resin, your new custom countertops can add both beauty and practicality to your kitchen project. We have numerous countertop options: Granite Countertops, Engineered Stone Countertops, Marble Kitchen Countertops, Solid Surface Kitchen Countertops, Laminate Countertops. Other countertops may include Stainless Steel, Soapstone, Wood or Butcher block, Ceramic Tile Countertops, or even Concrete. Kitchens by Hastings services Boston and the North Shore including, Tewksbury, North Reading, Wilmington, Melrose, Reading, Topsfield, Rowley, Ipswich. Click to view or print driving directions to Kitchens By Hastings on Google Maps.